The All-In-One Site Plan is a custom website design and managed WordPress maintenance service that saves you time and makes you money. 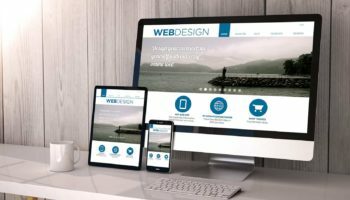 With functionality and effectiveness in mind, we’ve included everything you need for a professional website so you can get back to running your business. The basic plan is excellent for small starter sites or new businesses. Quick lead time. Up to 12 pages. Learn More. The plus plan is our most popular solution for website design and development. Up to 24 pages. Learn More. The premium plan is great for sites that need E-commerce or marketing features. Up to 36 pages. Learn More. We believe quality is paramount, avoid template-based solutions, and specialize in the software platform on which we build. Our in-house production team never uses templates, contributing original design that showcases the uniqueness of each business. Need new content on the site? No problem. All updates to content are included on all of our site plans. Stay current and up-to-date with the latest design trends. A new website will keep you updated! Allow your website visitors access to your content on all devices, including smartphones and tablets. We're here for you no matter the issue. As your managed web design company, we take responsibility. See our web design in action. Since 2009, we’ve been building amazing websites that allow the customer to run and grow their business. With quality and professionalism at the forefront, we design, build, and support online interaction-based sites that grow and scale with the business. Great websites are the hub of any profitable inbound marketing campaign. This is why we send all our clients to Mvestor for their websites. We know they’ll get done right and on time. Brodie Tyler, Inbound Systems, Inc.